By the time it was “legal” for him to drive a car, Quintin Crye had been speeding up and down the coast of California for over a decade. The fact that he would rather have been behind the wheel of a car without doors, running on dirt or asphalt rather than the highway, was of no consequence. For Quintin, it was all about driving and driving fast. Since 1996, Quintin has been one of the hottest drivers in Northern California. 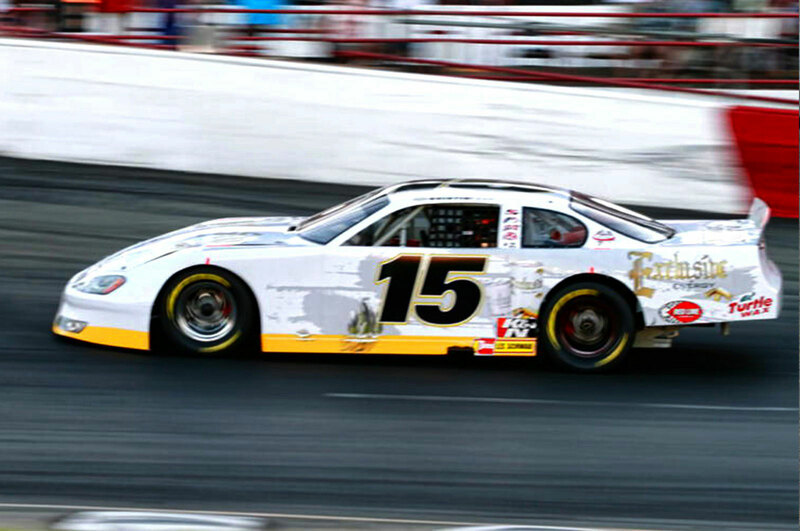 He’s earned top-ten finishes in NASCAR Whelen All-American Series Western Late Model races, been named the USAC Western Midget Rookie of the Year in 2007 and been a Cycleland Open International Champion. 2013 - Quintin will be racing a USAC sprint car. Stay tuned! 2012- Quintin went back to his roots this year by running 2 none wing sprint car races with a 3rd and 5th and 2 Usac Midget races with a 6th and a DNF due to motor. Was only able to run a few races Due to lack of sponsorship. He also went back and ran 18 Outlaw kart races with 10 top 5s 15 top 10s and 1 trophy dash win. 2011 - Quintin ran a hand full of Nascar late model races at Roseville and only 2 Usac Midget races due to lack of sponsorship's. 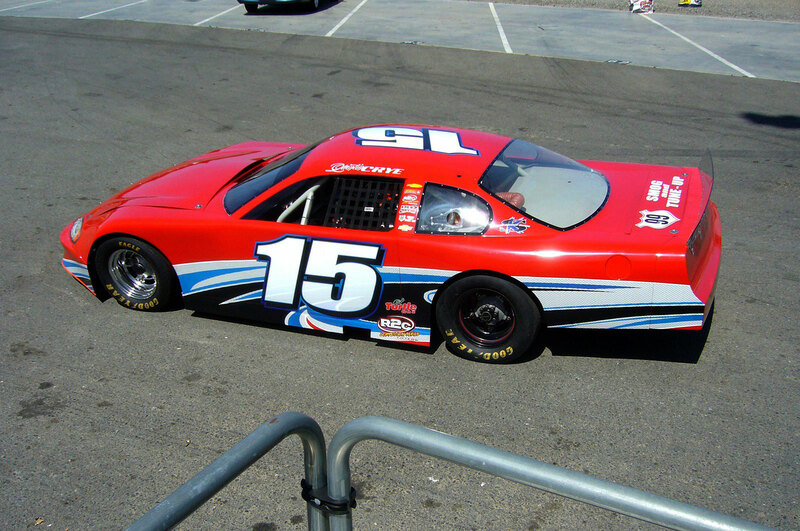 2010 - Ran at Roseville, Ca All American Speedway in NASCAR Late Models. 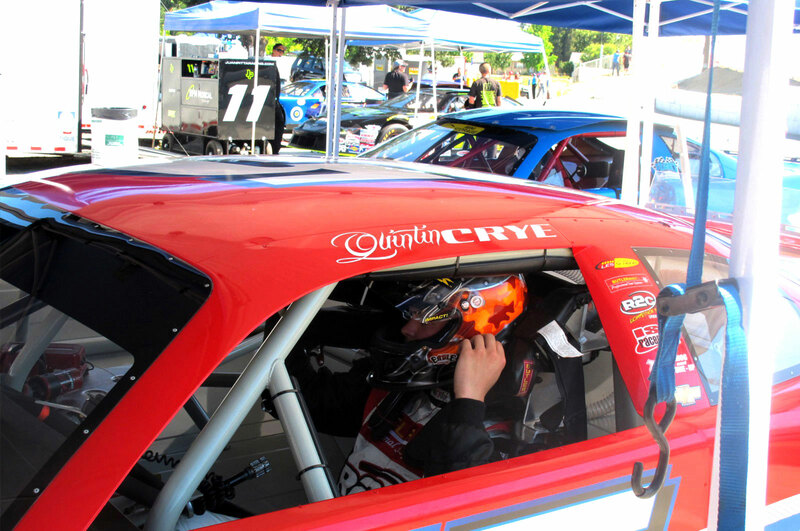 Quintin also tested stock cars at Infineon raceway along side cup drivers and driving coach Chris Cook and David Smith. 2009 Rookie season in NASCAR Late Models, earning two top-tens in seven starts. Top-ten in first career-start. 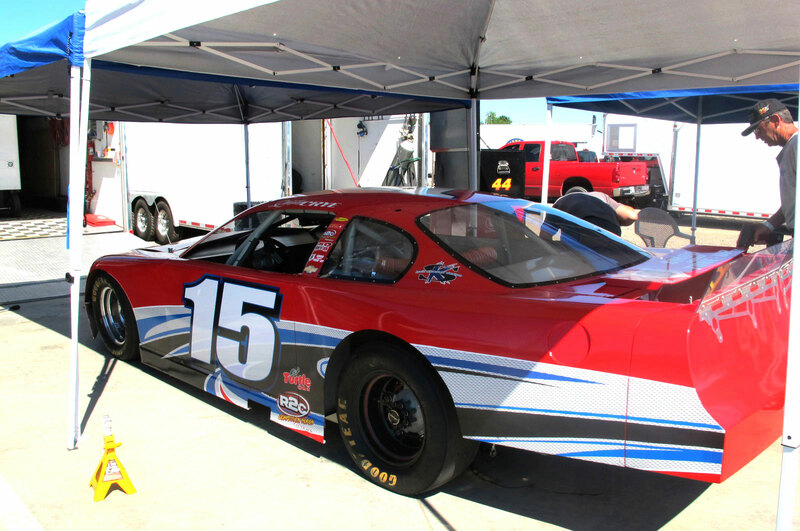 2008 Quintin gained valuable experience working in the shop for 3 Amigos Racing Also was able to gain some valuable testing time in the NASCAR K&N west. 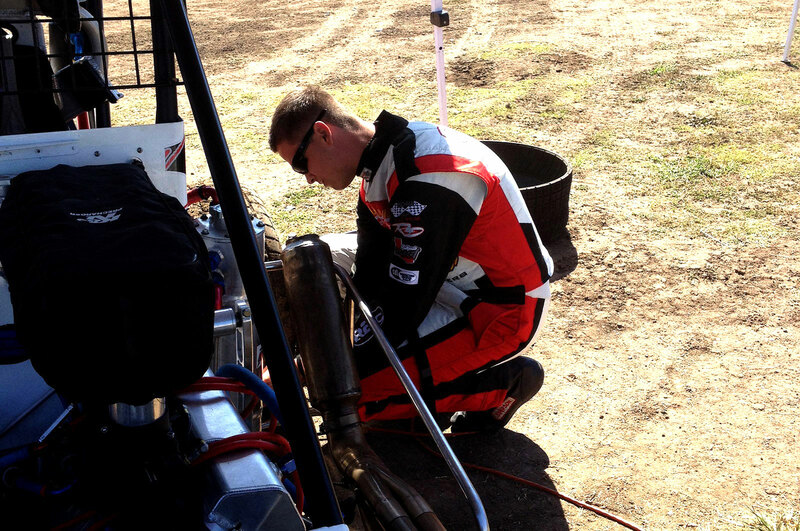 Additional he ran in the USAC Western States Midgets, with a win at Placerville. 2007 First year in the USAC Western States Midgets. Qualified 3rd quick in series debut. Won a trophy dash in just fourth start. Finished out the year as the USAC Midget Rookie of the Year and 8th in points. 2006 4th in USAC (United States Auto Club) Ford Focus Midget points, with one win, eight top-fives, and 11 top-tens. 2005 USAC Ford Focus Midget Series ran 3 races with two top 10’s. 2004 One trophy dash win, six top-fives, and eight top-tens. 8th in the overall points. A-mains in the Open Intermediate class. Quintin also won the Open Intermediate CHAMPIONSHIP. At Red Bluff in 2002-2003, in the open Intermediate class, he won three trophy dashes and four A-mains, finishing 3rd in the point’s standings. 2001, at Cycleland Speedway, Quintin moved up to the Open Intermediate Division. That season he posted two FAST times, and finished 3rd in the points. During the 2001-2002 season at Red Bluff in the Open Intermediate class, he won three trophy dashes, finishing 4th in the points division. 2000-2001 Quintin won one trophy dash and two A-main events at Cycleland Speedway finishing 6th in the points division. That winter, He raced in the 125cc class in RED BLUFF (Calif.) Tehama District Fairgrounds, finishing 7th with one trophy dash win. 1999 - Quintin second year racing in the 125cc class, I finished 3rd in points, winning three A-mains and two trophy dashes. 1998 Quintin moved up to a 125cc class and won two A-mains and one trophy dash, finishing 5th in my first year in the 125cc class. 1997, Quintin’s second year racing at Cycleland Speedway, I won seven A-mains and four trophy dashes. He won the first and second races of the year back to back, and finished second in the box stock point standings. 1996 Quintin started racing Outlaw Karts at Cycleland Speedway (Chico, Ca).